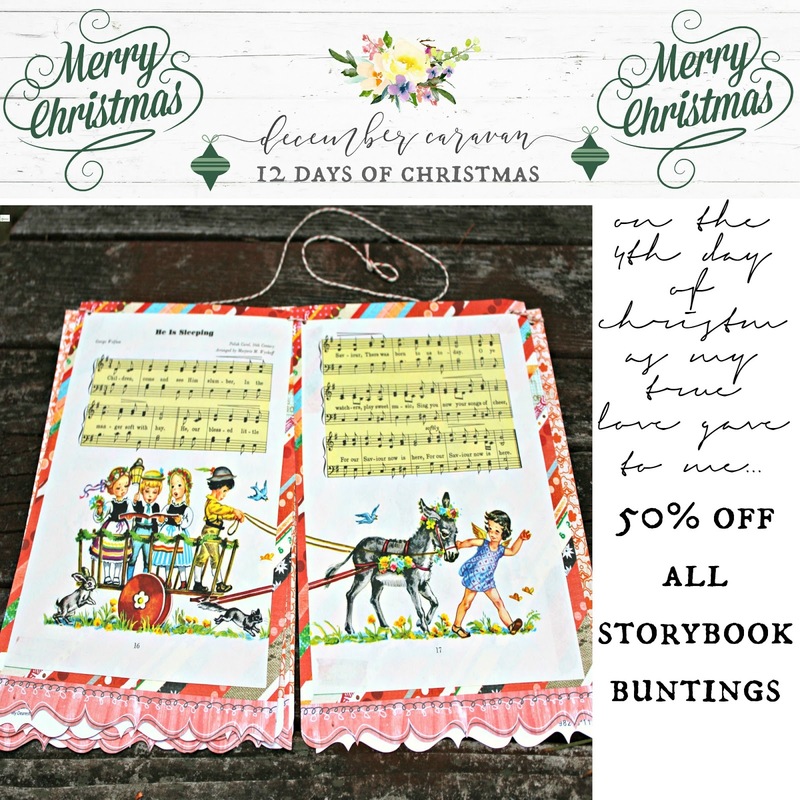 On the 4th Day of Christmas My True Love Gave to Me...50 % off ALL storybook buntings in the shop (including Christmas Storybook Buntings!)! These gorgeous and unique decorations are a rare treasure that you can use for years to come to decorate your home, a room, across the fireplace, a classroom, or even as a gift. These beautiful and unique garlands will add to your festivities or decor throughout the year! You can go directly to this listing that is on a special Christmas sale for today ONLY by clicking the link HERE! Happy Tuesday friends!